LONDON, England. 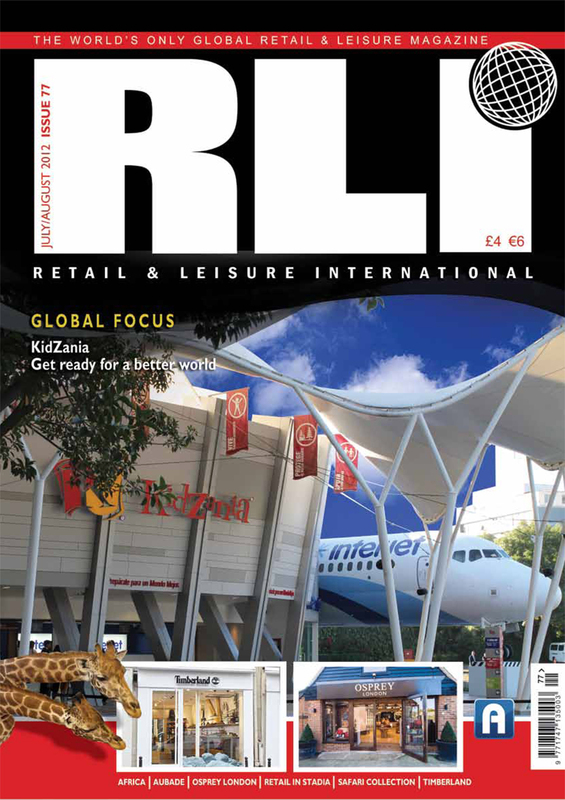 Retail & Leisure International. July 1, 2012. (English). -Providing children and their parents with a safe, unique and very realistic educational environment, KidZania has enjoyed sustained and rapid growth. Here, RLI talks to Andrew Darrow, Executive Vice President of International Business Development, to find out more. 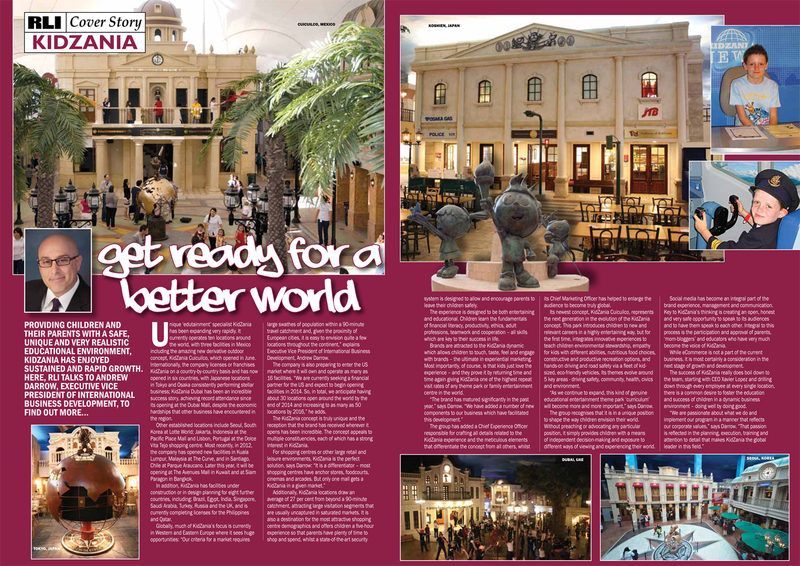 Unique ‘edutainment’ specialist KidZania has been expanding very rapidly. It currently operates ten locations around the world, with three facilities in Mexico including the amazing new derivative outdoor concept, KidZania Cuicuilco, which opened in June. Internationally, the company licenses or franchises KidZania on a country-by-country basis and has now opened in six countries, with Japanese locations in Tokyo and Osaka consistently performing stellar business; KidZania Dubai has been an incredible success story, achieving record attendance since its opening at the Dubai Mall, despite the economic hardships that other businesses have encountered in the region. Other established locations include Seoul, South Korea at Lotte World; Jakarta, Indonesia at the Pacific Place Mall and Lisbon, Portugal at the Dolce Vita Tejo shopping centre. Most recently, in 2012, the company has opened new facilities in Kuala Lumpur, Malaysia at The Curve, and in Santiago, Chile at Parque Araucano. Later this year, it will be opening at The Avenues Mall in Kuwait and at Siam Paragon in Bangkok. In addition, KidZania has facilities under construction or in design planning for eight further countries, including: Brazil, Egypt, India, Singapore, Saudi Arabia, Turkey and Russia, and is particularly excited about establishing a flagship location for Western Europe in London with its recently-signed UK partner Joel Cadbury and his company, Longshot Ltd. It is also currently completing licenses for the Philippines and Qatar. Globally, much of KidZania’s focus is currently in Western and Eastern Europe where it sees huge opportunities: “Our criteria for a market requires large swathes of population within a 90-minute travel catchment and, given the proximity of European cities, it is easy to envision quite a few locations throughout the continent,” explains Executive Vice President of International Business Development, Andrew Darrow. The company is also preparing to enter the US market where it will own and operate as many as 16 facilities. “We are currently seeking a financial partner for the US and expect to begin opening facilities in 2014. So, in total, we anticipate having about 30 locations open around the world by the end of 2014 and increasing to as many as 50 locations by 2016,” he adds. The KidZania concept is truly unique and the reception that the brand has received wherever it opens has been incredible. The concept appeals to multiple constituencies, each of which has a strong interest in KidZania. Additionally, KidZania locations draw an average of 27 per cent from beyond a 90-minute catchment, attracting large visitation segments that are usually uncaptured in saturated markets. It is also a destination for the most attractive shopping centre demographics and offers children a five-hour experience so that parents have plenty of time to shop and spend, whilst a state-of-the-art security system is designed to allow and encourage parents to leave their children safely.